In this role, Harris will oversee the areas of fundraising, alumni relations, publications, and conferences and events. Harris comes to Daemen from Canisius High School, where he served as vice president for institutional advancement. 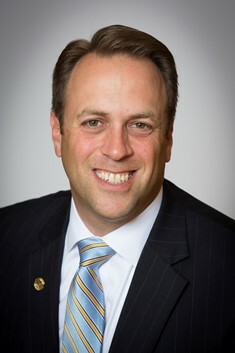 Prior to this, he held advancement positions at Hilbert College, including associate vice president for development and director of alumni relations and annual giving. He is also an experienced student affairs professional, having worked in various capacities in this area at C.W. Post Campus of Long Island University, St. Lawrence University, and SUNY Fredonia. Active in the community, Harris is currently a trustee on the Kenmore Mercy Foundation and president-elect of the Association of Fundraising Professionals Western New York Chapter. He holds a master’s degree in student personnel administration from SUNY Buffalo State and a bachelor’s degree in communication from SUNY Fredonia. He also participated in the Council of Independent Colleges Senior Leadership Academy. A Long Island native, Harris resides in Lake View.